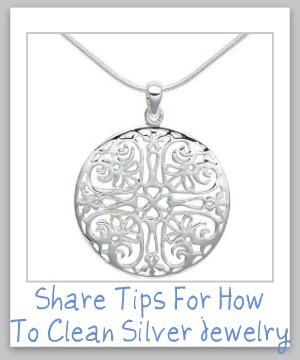 Read tips below for how to clean silver jewelry, to keep it looking its best. You can also share your own tips too. Do you spend a lot of time cleaning your home and possessions? 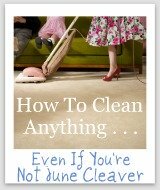 If so, you can use some good tips to help you get these chores done, so you can have some fun! Here are tips I've collected from readers like you, and from around the web to help you with these tasks. Many people love silver jewelry, since it is so beautiful and matches so many different things you can wear with it. 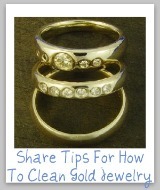 Of course, like any other jewelry it can get dirty and grimy with time and wear. However, much of it is very delicate, sentimental, expensive, and otherwise is fragile. You don't want to damage it while you're cleaning it. 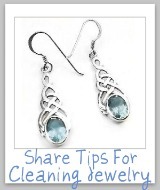 Therefore, I would love to hear your tips for how you clean your jewelry made of silver below. If there are other metals or gems that you also cleaned with it, make sure to tell me, since this can make a difference in how the item should be cleaned. Silver is a precious metal in many jewelry items, and it periodically needs cleaning, so share your tips with me for how you do it. 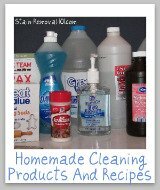 If you like to use a particular type of cleaner, either homemade or purchased, or special cleaning equipment to get the job done well, please tell me about that too. Finally, pictures aren't required, but are encouraged, especially if it helps show how you do something or the good results you had from using your tips. Your tip will appear on a Web page exactly the way you enter it here. You can enter some simple HTML if needed, but it is not required. 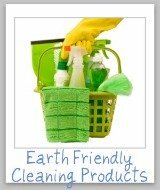 Eco-Friendly Cleaners: Which Brands Work Best? 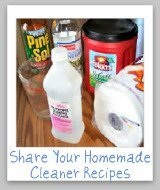 What Are Your Fave Cleaner Recipes?